Standing up for their beliefs! 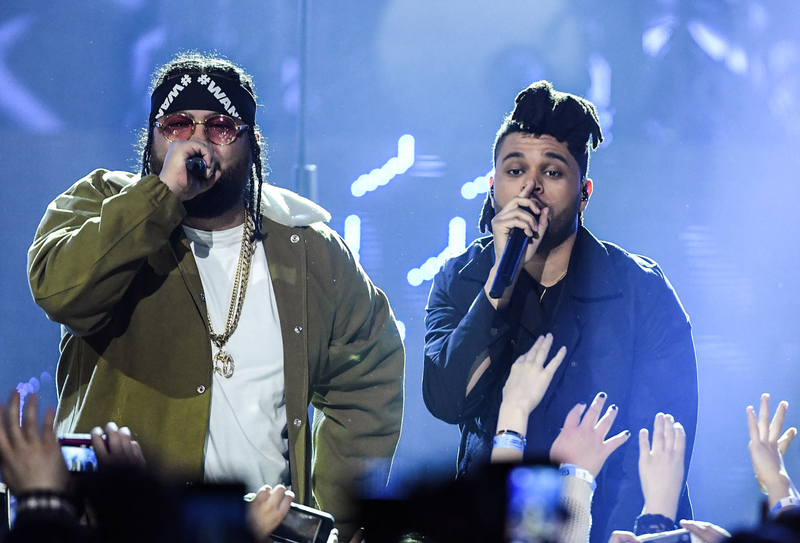 The Weeknd and rapper Belly pulled out of a performance on the Wednesday, May 25, episode of Jimmy Kimmel Live! because Donald Trump was on the interview lineup. Jimmy Kimmel's 'Mean Tweets: Movie Edition' Is Here in Time for Oscars 2016: Watch! Talking to the Associated Press, Belly explained his decision to nix the performance, citing Trump&apos;s beliefs as the reason for his boycott. "I feel like the way I was raised was to be able to see through all the titles in this world — from religion to race," he said in a statement. "I just didn&apos;t want to feel like I was a part of a celebration for somebody who has beliefs that [the] majority of us don&apos;t agree with." While neither The Weeknd, Trump nor the Jimmy Kimmel show would comment further on the controversial decision, the episode went ahead, airing from Los Angeles, complete with the presidential hopeful as a guest. First up, Trump told Kimmel he’d agree to a debate Bernie Sanders, but only if the senator agreed to make a donation to charity ("Game on," Sanders replied via Twitter later that evening). The 69-year-old property mogul also admitted to using aliases (including his son&apos;s name Barron) over the years to avoid overpaying for properties, having previously denied that he ever pretended to be a publicist named John Miller or John Barron in promoting his business affairs with journalists, as suggested by the Washington Post. And on the topic of thinking up unpleasant nicknames for his presidential race competitors (Lyin&apos; Ted, Crooked Hillary, Crazy Bernie), Trump proudly claimed responsibility for them all. "Do you have a team of people, do you brainstorm, or is it just you?" Kimmel asked. "The team is right there," he replied, pointing to his own head. Watch a clip of Trump&apos;s interview in the video above.